Check out the campaign here and here. Take action. Get involved. Make a difference. We – educators, clergy, parents and community members – are to blame, as bullying turns our sacred spaces into ground zero for exclusion and abuse. 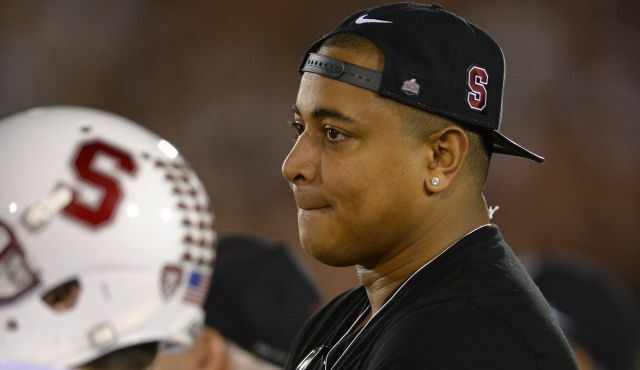 On October 28, 2013, Jonathan Martin, offensive tackle for the Miami Dolphins of the National Football League, walked out of the team locker room and has yet to return. Social media and mass media in the United States have been closely covering the story – not because Americans are football-obsessed fans, but because of the reason behind this athlete’s decision to leave the team, and possibly the game for good: bullying. That was one of the voicemails left on Martin’s phone a year after he was drafted, according to ESPN. Martin was so hurt by multiple incidences of bullying that he was even hospitalized for emotional distress. The “boys will be boys” explanation is all too often used to explain how boys, teenagers, and yes, even adult men, treat each other, while bullying among adolescent girls is often attributed to their age and desire to fit in. Neither explanation is correct, and neither explanation is an acceptable excuse for such harmful and hateful acts. Here are the facts, according to a summary of studies by Business Insider: 160,000 children in the United States miss school every day due to fear of attack or intimidation; six in 10 teenagers serve as a bystander, witnessing bullying on a daily basis; 35 percent of children have been the victim to cyber bullying online; nine in 10 LGBT youth have reported being bullied because of their sexual orientation; and 64 percent of those who are bullied in America are too scared to report it. Bullying – whether in the physical, verbal, emotional, or even cyber form – is a national epidemic in the United States and it is a global problem. Yet it took a 6’5’’, 315-pound famous athlete to be victimized before the United States was willing to wake up and realize the severity of this problem. Bullying goes as far back as the Torah. While Jacob spoiled his beloved Joseph, Joseph’s brothers grew angry and jealous, planning everything from murder to throwing him in a pit, before eventually settling with selling him into a life of indentured servitude and telling everyone that he was killed by a wild beast. Joseph eventually achieved success, working under the Pharaoh of Egypt, and when his brothers approached the throne, groveling for food, he bullied them in return. While we Jews are taught to model ourselves on the ethics and values of our biblical patriarchs and matriarchs, we must also learn from their mistakes. 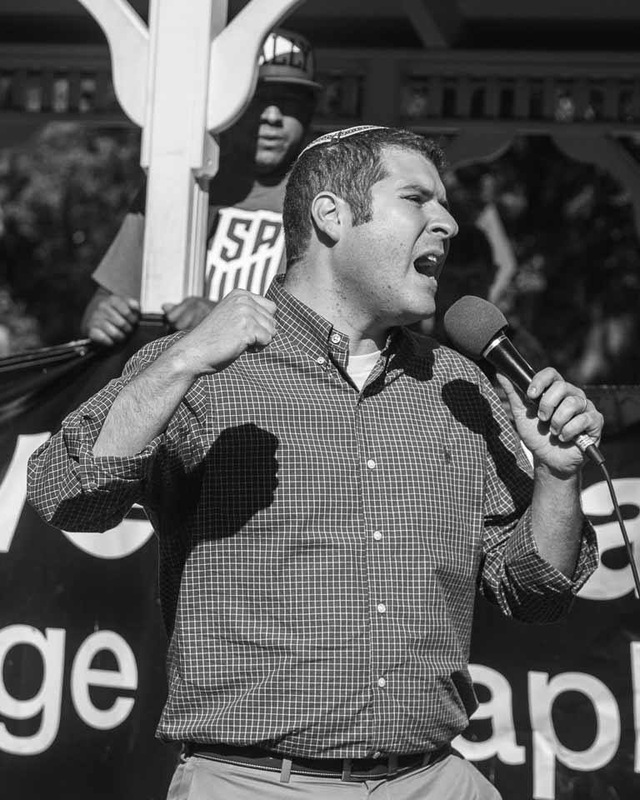 The Jewish community of today is not immune to the problem of bullying; it exists in our schools, camps, youth groups, and – more prominently and problematically – it exists among interpersonal adult relationships in our communities. Our institutions, synagogues, and schools, like the National Football League, are reactive. We teach our children how to respond if they are being bullied or if they witness another being bullied. We instruct our children whom the adults are that they should seek out for help. Once someone or something crosses the subjective line, the issue is handled and dealt with, but if such institutions of learning and worship are truly sacred spaces, then they must be safe spaces from the outset. We – as educators, clergy, parents and community members – are to blame, as inhumane acts of bullying turn our sacred spaces into ground zero for exclusion, abuse and hate. Ending this national epidemic is not about being reactive. We must be proactive. Last year, the community that I serve, the Jacksonville Jewish Center, and its affiliate educational arms, the Galinsky Academy, decided to take a proactive approach by launching our “Community of Kindness” initiative. The premise is simple: Let us preach kindness; let us teach love. If we teach our students (and their parents!) to be nice to each other, then eventually we will not need to respond to acts of hatred and bullying. Members of our institutions must move from tolerating each other to embracing each other. In the famous Talmudic tale (Bab. Talmud Shabbat 31a), Rabbi Hillel declares, “That which is hateful to you, do not do to another. This is the whole Torah, the rest is just commentary!” Hillel declares that our divine scripture is rooted in kindness. The lessons learned from Torah teach us to do the simplest, and yet most difficult, of acts: be kind to each other. If we do so, we will no longer have to worry about being reactive, because bullying ends with us. If we truly believe, as our tradition teaches, that every individual is created B’Tzelem Elohim, in God’s Image, then to allow bullying to continue in our institutions is a Hillul Hashem, a desecration of God’s name. To bully another is to bully God, for every life is sacred. Let us ensure that our communal institutions remain sacred, and safe too. 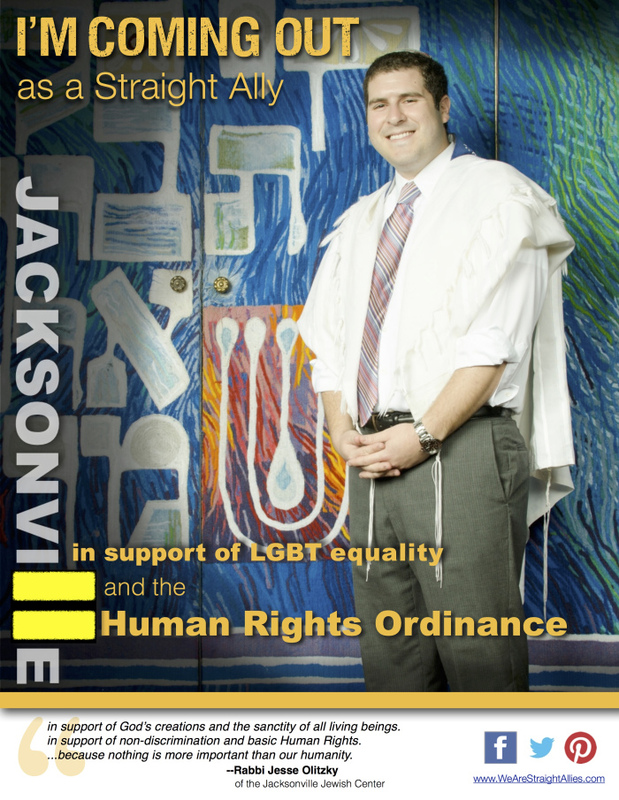 My name is Rabbi Jesse Olitzky and I serve as one of the rabbis of the Jacksonville Jewish Center, which is proud to be officially join ICARE this year as a member congregation, the first Jewish institution to do so. I am here to share the vision of ICARE, but this vision is not only my vision. This vision is not only the vision of my esteemed colleagues, fellow clergy members of Florida’s First Coast who accompany me here this evening. This vision is not simply the vision of this institution. For we do not act to do justice simply because it is the right thing to do. We do not act to do justice because it makes us feel good. We act because the Lord our God, however we refer to God, in whatever language, in our own faiths, commands us, demands of us, begs us, to do so. Nehemiah may remind us to do justice, but this is not Nehemiah’s vision. The prophet Amos foresees that justice will roll down like water and righteousness like a mighty stream, but this is not Amos’ vision. The prophet Micah commands that we do justice, love kindness, and walk humbly with God, but this is not Micah’s vision. The Islamic prophet Muhammed teaches that when we see a wrong we should change it with our hand, with our tongue, with our hearts, but this too is not his vision. The Biblical leader of the Jewish people Moses sets up a system of law to enact justice and do what is right, but this too was not his vision. For we do not congregate and assemble simply as residents of Jacksonville who are concerned about our city. We come together as representatives of dozens of congregations, of different faiths, and different denominations, people of faith, believers, who are doing God’s will. God tells us to be kind. God tells us to feed our neighbor, to cloth our neighbor, to help our neighbor; but God does not want us to settle for being kind. Juxtaposed to this verse, immediately beforehand, in verse 4, God commands: “There shall be no needy among you.” God begs us to be kind in the face of injustice, but challenges us to be brave enough to rid this word of true injustice. That is God’s vision. That is our vision. A community, a city, a world without any injustice. So we are kind, but we strive to live in a world where we do not help others because they do not need our help. Our vision is a vision of justice. As it says in Deuteronomy, in Hebrew, Tzedek, Tzedek, Tirdof, Justice, Justice, You Shall Pursue. God does not tell us that justice is served on a silver platter. God does not want us to sit on our hands and wait for justice to happen. We are God’s partners in creation. We are to pursue justice to complete the utopian Garden of Eden that God originally set out to create. We pursue justice. We chase it. We run after it. We make it a reality. It is not easy, but we do not come together because it is easy. We come together because it is right. We come together because it is sacred. The mission of ICARE is to powerfully address citywide concerns related to issues of justice and fairness. We use our collective people power to press our elected officials and other city leaders on county-wide solutions to the problems that plague our community. Our vision is that as communities of faith who gather together at least 52 times a year for worship, at least once a year we can all come together to do justice. Ultimately, doing justice is worship. Justice is prayer. One of my teachers, Rabbi Abraham Joshua Heschel, of blessed memory, once marched arm in arm from Selma to Montgomery with the Reverend Dr. Martin Luther King Jr. When asked why he was walking, he explained that he was praying with his feet. So let us do that. Let us pray with our hearts, with our souls, with our voices. Let us act. Let us pray with our feet. Let us pursue justice. At the Community Problems Assembly, we were updated on the issues of social justice that ICARE has been tackling, including Youth Crime, Homelessness, Education, and Jobs. The success of ICARE’s efforts is most notable in these fields with the opening of the Downtown Homeless Day Center, which opened last week. The attendees voted on a new issue to work on, and the overwhelming majority decided that together, as people of faith, we must focus on Mental Health. Over the coming weeks and months, experts in the field will study the issue of Mental Health and then we will come together to figure out a strategic plan, so that all residents of Jacksonville can have access to much needed mental healthcare to ensure that Jacksonville is a safer, healthier, and more just city. You can read the Florida Times-Union’s report on the Community Problems Assembly here. May we all pray and work towards a more just city, society, and world. I lost a bet with our Cantor. He is a huge Red Sox fan and me being a die-hard Orioles fan, we made a bet concerning which team would be most successful during the 2013 baseball season. To some it is no surprise that the Red Sox won the World Series. After all, after going 85 years without winning a championship, they are now the most successful baseball team over the past decade, winning three championships in ten years. However, Las Vegas odds-makers would agree that I think I had pretty solid ground to stand on when I made my bet. Last year, in 2012, the Orioles were one of only five American League teams to make the playoffs. The Red Sox finished dead last. In fact, they finished with their worst record (93 losses!) in 47 years! The chances of the Orioles returning to the playoffs were good. The chances of the Red Sox finishing anywhere but last place again were slim. How slim? 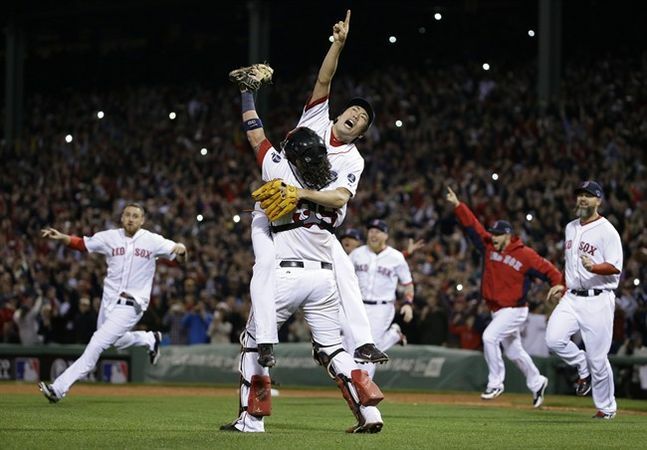 ESPN reported that the Red Sox’s 93 lose season in 2012 to their World Series Championship season this year was the greatest turn around in Major League Baseball history. No team in the span of one season, has gone from that bad to that good. Yet, somehow the Red Sox did so. Interestingly enough, among the many individuals who were acknowledged and thanked by players for leading them to the promised land, one player acknowledged Bobby Valentine, their historically bad, toxic manager of 2012, who only lasted one season. During his terrible managerial run in Boston, he benched all-star players because he didn’t like them, started verbal and physical fights in the clubhouse with coaches, pitted some players against others, and dragged the names of players, coaches, and front office personnel through the mud. Yes, Bobby Valentine is the anti-hero of this story. Yet, he too somehow, led to their success. He led to this turn around and inspired and motivated the players to change in spite of him. There are two fascinating narratives that we just read about in the Torah, found in Parashat Toldot. The well-known narrative is the interaction between twins Jacob and Esau. Esau is really just looking for love and acceptance while Jacob is always trying to one up his brother. It is ironic after all, that the wicked one of this story, Jacob, the one who tricks his brother into selling him his birthright and who steals his father’s blessing, is the namesake of the Jewish people. The trickster Jacob becomes Israel. The trickster is the father or our nation, becomes the faithful who wrestles with God, becomes the father of the twelve tribes. There is no specific point in the text that emphasizes Jacob’s transition, from a trickster to a tzaddik, a righteous person. Yet, the change is evident. The Jacob who honors his children, takes care of his family, is concerned about his beloved Joseph, and blesses his children on his own deathbed is not the same Jacob that steals his father’s blessing. The person who we are now, is not necessarily the person who we have to be. Jacob, or specifically Israel, is our namesake, not because he is perfect, but because of his imperfections. We focus on the fact that Jacob was far from the best and yet, changed for the better. That is who we strive to be. We strive to be better than we were before. And Isaac dug again the wells of water, which they had dug in the days of Abraham his father; for the Philistines had stopped them after the death of Abraham; and he called their names after the names by which his father had called them. Isaac repeats his father’s journey. This is especially significant looking at his relationship with his father: his father tried to sacrifice him and the Torah does not make a single mention of dialogue or conversation between the two following the attempted sacrifice. Isaac never talked to his father again. Isaac’s relationship with his father was forever broken. Yet, he still acknowledged his roots, the relationship he had with his father, and how it led him to the man he was today. He retraced his father’s footsteps, walked in his tracks, to get to where he needed to go. The beauty of the message of this narrative in the Torah is this: who we are now is not who we will be later. We take the lessons from our parents and we hold on to them. We learn what to do and what not to do. The blessings and mistakes are equally important in helping to shape us. The mistakes that they make — and that we make — don’t prevent us from changing for the better. Elohai Neshama Sh’natatah be, tehorah hi. My God, the soul which you have given to me anew on this day, is clean, is pure. It doesn’t matter what happened yesterday, or last year, or last season. In the words of the devoted sports fan: There’s always next season. And next season, you may just win the World Series. The Red Sox brought in a new manager and free agent players, but the committed core, the Pedroia’s and Lester’s and Big Papi’s, all remained the same. They grew their beards long; they reached out to the city of Boston and helped it heal following the worst terrorist attack in our country in twelve years. Most of all though, they rallied around their negative experiences of last season, determined not to repeat themselves. They were determined to no longer be Bobby Valentine’s Red Sox! They were Boston strong, but strong because of their past mistakes. Strong because they used the past to guide them on their future. Like Isaac. Like Jacob. Like all of us. For the failures of yesterday can lead to the successes of tomorrow. May we never settle for last place. And may we all be strong enough to find the champion within.